The Gully is the largest submarine canyon in eastern North America and lies 340 km off the coast of Nova Scotia. Now you can travel to this natural treasure at the Museum of Natural History. Join our Mission to the Gully and climb aboard the Canyon Explorer research vessel. 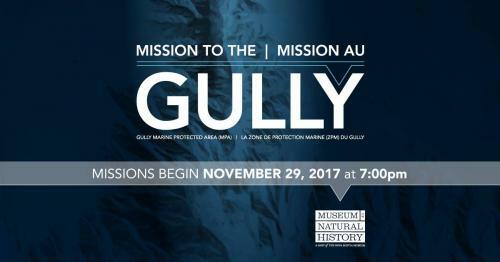 Discover what makes the Gully so special and why it attracts scientists from around the world. Help us shine a light on the mysteries of the deep ocean.